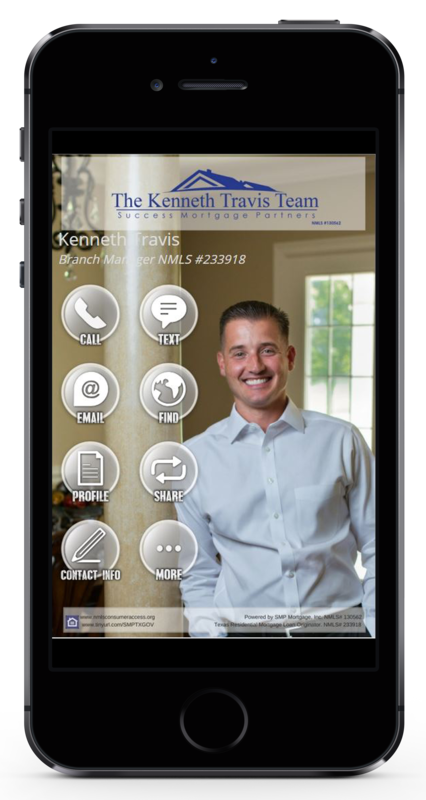 SavvyCard Super User Kenneth Travis – Keeping in Touch, Sharing the Love, and Generating Leads. Ken Travis is a loan officer based in Longview, Texas, and his SavvyCard gets more traffic than almost any other card in our system. We called Ken up, and, in his syrupy-rich East Texas drawl, he told us exactly how he uses SavvyCard to keep in touch with his clients and generate leads with business partners – including some tactics so creative they surprised even us. Then he follows up with a request. “Now, if you’re happy with our services, if you’d be willing to refer me to your family, friends, or co-workers . . .” Ken says his customers are usually so impressed that they’re ready to refer him on the spot. So he shows them how easy it is to refer him with his SavvyCard’s Refer button. Ken integrates his SavvyCard at every point in his lead generation, sales, and support process. Ken has had such great results with this approach that he’s training everyone in his office to do the same thing. But he didn’t stop his evangelism at the door – he decided to spread his SavvyCard expertise to people who could send him even more business. “I created a class to teach Realtors to use this as a marketing tool for themselves and for their own businesses. We got it approved by the State.” Now Realtors in Texas can come to Ken to learn about just how powerful SavvyCard can be – and earn a Continuing Education credit for it. You can imagine how great this opportunity is for him. He attracts Realtors with powerful new tactics, and these high-volume loan originators leave with Ken’s SavvyCard parked right on their phones. Ken has executed all of these strategies using our SavvyCard for Business solution, which, as you can see, he made look truly great with the help of his friend (and operations manager) Blake Weber. To make sure his customers are getting the best SavvyCard experience possible, Ken and Blake took advantage of our professional SavvyCard customization service. We integrated their logos, custom backgrounds and retouched photos into the SavvyCard artwork, and set up search engine optimization for valuable keywords. We also put them both in touch with our Customer Success Specialists to make sure they’re getting the absolute best support and education available. Aw, Ken, you’re making us blush. Kenneth Travis is clearly a guy who has a lot of insight to share. You can get plenty more great marketing, mortgage, and real estate know-how on his blog at KennethTravis.com. To learn more about getting the most out of your own SavvyCard, visit about.SavvyCard.com.